Join El Shaddai Vision Church for bi-lingual worship in Swahili and English every Sunday at 1pm! This new worshiping community began in May 2015 with Pastor Prince Mundeke, himself a former refugee from Congo, following God's call to begin a bi-lingual worship service. 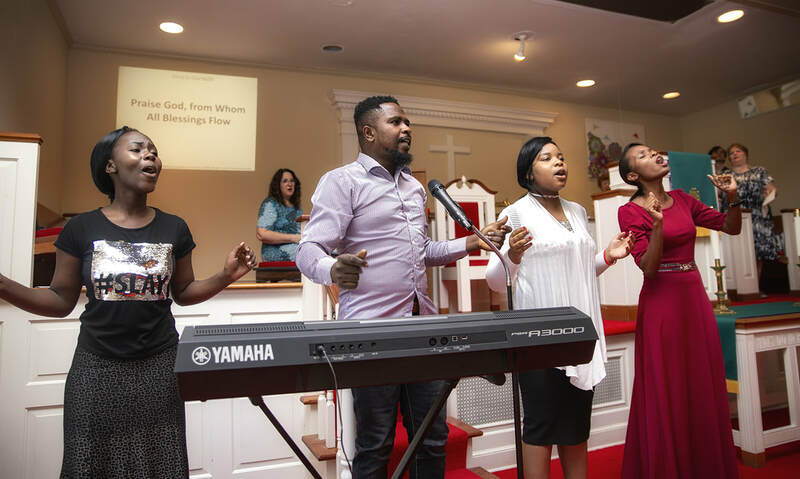 While their ministry in Greensboro is primarily within the African immigrant community, the power of their testimony, vision, and music reaches beyond cultures and nationalities. They often sing and preach in other churches in Greensboro, around the United States and Canada, and make trips back to their sister church El Shaddai Vision Church in Uganda. If you are interested in learning more about this powerful ministry, please contact Pastor Prince Mundeke.